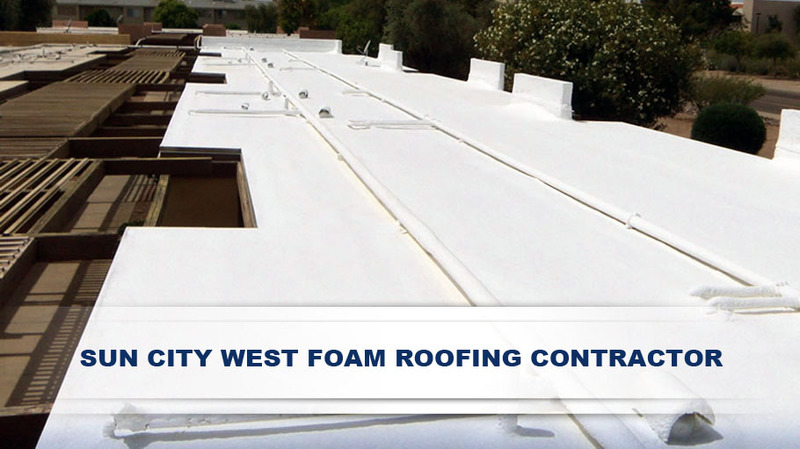 1st Class Foam Roofing and Coating provides commercial and residential foam roofing installation and foam roofing repairs in Sun City West. If your roof needs foam roofing services, we are happy to come out and do a roof inspection to determine the level of repair or if coating is needed for your Sun City West roof. Every job includes a free consultation, problem identification, expert recommendations, budget planning, proposal review and acceptance, scheduled installation and a final inspection. Your roofing project will be customized for your specific foam roofing needs. We are dedicated to providing professional and affordable spray foam roofing services. We have been in the foam roofing and coating business for over 17 years, installing and repairing Sun City West foam roofing systems for homes and commercial businesses.. Our years of experience of using all types of insulation, coatings and polyurea linings makes us incredibly knowledgable on what foam roofing system is needed for your roof installation or repair. Our technicians will provide you with expert recommendations and will keep you informed throughout the entire process from start to finish. Customer satisfaction is important to us and we guarantee you will have the best possible outcome for your foam roof repair or foam roof install when you use 1st Class Foam Roofing and Coating. We are a licensed foam roofing company and we manufacture approved, UL rated roofing material only. Contact us today to help determine if a foam roof is right for your residential property. If your foam roofing system is leaking, you may need a repair. It is wise to have your Sun City West foam roof inspected to check for any possible damage that may cause expensive issues for you if not corrected quickly. Luckily, foam roofing systems require very little maintenance when installed properly. We offer free consultations and can determine if you need your roof serviced. Maintenance for your foam roof should include a new coating application after 5 years of the initial installation followed by a new coating every 20 to 25 years. Call First Class Foam Roofing and Coating at 602-722-0663 to discuss your foam roofing installation, repair or coating needs.